The Capital Crown Diffuser is available in 4 Way, 3 Way & 2 Way models with an 6", 8" or reducing register boot and optional damper. They are constructed of a high impact, paintable plastic that won't dent or rust and gives any project a truly unique look. The register boot easily attaches to your flex duct run with the included 36" cable tie or UL181 tape.The register boot attaches to the ceiling no matter what the thickness with the included Quick Zips. 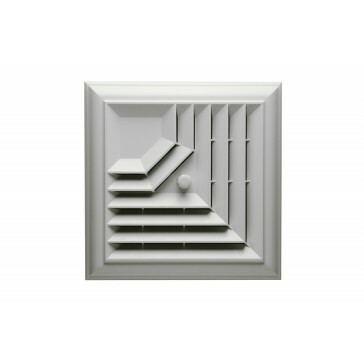 The diffusers are paintable to match any decor. Custom graphic diffusers available now. 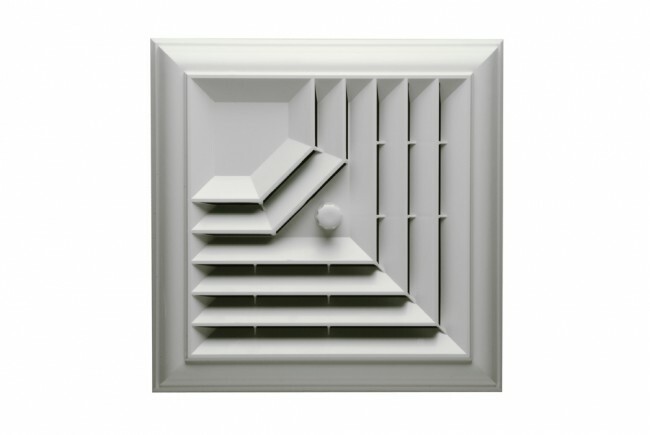 These ceiling vents can be used for both new construction and retrofit installs. This easy attach knob also makes just the diffuser simple to remove for cleaning or painting the ceiling.